Although Henderson emphasizes the period since the winning of independence in 1825, he argues that the region’s republican history cannot be explained without a clear understanding of what happened in the pre-Hispanic and colonial eras. 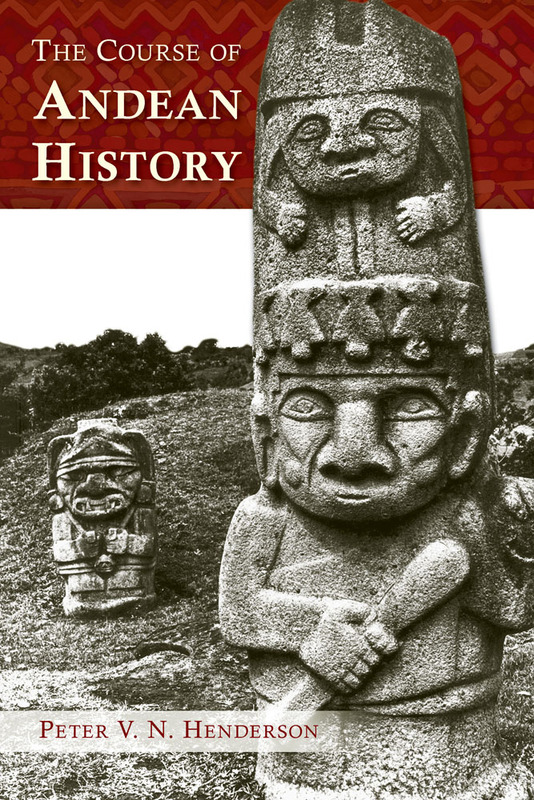 Henderson carefully explores the complex relationship between the Andean peoples and their land up until the fall of the Inka Empire in 1532 before addressing the Spanish conquest and the colonial aftermath, emphasizing the syncretism often unwillingly forced upon the original inhabitants of the region. His account of the nineteenth century discusses the attempts of the Andean elite to fashion modern nation-states in the face of many divisive factors, including race. The final chapters carry the story from 1930 to the present as the Andean countries debated different ways to create a more inclusive and prosperous society. Peter V. N. Henderson is professor of history and former dean of the College of Liberal Arts at Winona State University, Winona, Minnesota. His most recent book is Gabriel García Moreno and Conservative State Formation in the Andes.